Thorne & Derrick supply the HVAC and M&E Building Services industry with an extensive range of Leak Detection (Water & Gas), Trace Heating, Valves, Washroom Controls, Metering and Temperature Measurement & Humidity Measurement products – many HVAC products are compliant, accredited and approved under BREEAM, WRAS and TMV3 construction industry schemes. T&D distribute for Andel, ASCO, Cistermiser, Dart Valley, Dimplex, Elster, HORNE, Keraflo, Murco, Rotronic, RWC Reliance Water Controls and Thermon – we provide expert technical support with delivery from large stocks at competitive prices. HORNE is a leading innovator of thermostatic temperature control products including thermostatic showers, taps and mixing valves (TMVs). 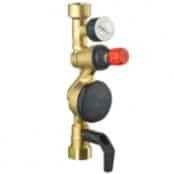 HORNE Thermostatic Mixing Valves, Taps & Showers can achieve BREEAM WAT 01 Credits. Contact T&D. 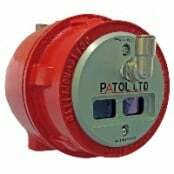 F-Gas legislation requires gas detection for refrigerant plant stipulating a gas detector, sensor or monitor must be installed to detect gas leaks. Murco gas detectors provide trusted detection for installations requiring stand-alone refrigerant gas leak detection. Typical applications include: chiller rooms, supermarkets, brewing, industrial refrigeration, food storage/processing, walk-in freezers/boxes. T&D supply specialist valves including Tenant Valves, Thermostatic Mixing Valves, Automatic Water Shut Off Valves, Float Valves, Solenoid Valves and Pressure Reducing Valves – we work closely with consulting engineers and contractors specifying and selecting the optimum valve for the flow control application, including BREEAM, TMV3 and WRAS approved. Keraflo float valves deliver significant advantages compared to traditional ball-float valves – float valves with positive action and weighted key-shaped floats avoid dribble, reduce noise and allows full flow until the selected closed level is reached. Keralo Aylesbury float valves with WRAS Approval are specified throughout the domestic, commercial and industrial markets. Direct operated valves are used in systems requiring low flow capacities. ASCO 2, 3 & 4 way solenoid valves available in normally closed, normally open and universal constructions provide flow control for water, air and steam in HVAC applications. Pressure reducing valves (PRV’s) with WRAS Approval provide reliable flow control of domestic, commercial and industrial incoming water supply pressure eliminating inaccurate water pressures. 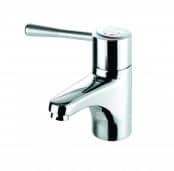 RWC TMV’s (Thermostatic Mixing Valves), Thermostatic Mixing Taps, Thermostatic Mixing Showers, Tenant Valves, Cold Water Meters and their ranges of pressure, temperature, flow control and washroom products. HORNE TMVs (mixing valves) are healthcare sector approved, under the TMV3 Scheme, to NHS Model Engineering Specifications D 08 Thermostatic Mixing Valves (Healthcare Premises). 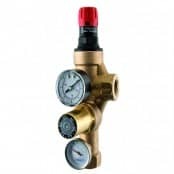 For example, HORNE 15 TMV valve features an integral 7.8 L/min flow regulator for fitting at the mixed water outlet and, in the case of the H15 4th Connection TMV, for the outlet connecting to the cold water tap. Thermostatic mixing valves (TMVs) mix hot and cold water supplies delivering temperature-controlled flow to building services – the hot water supply is typically around 60°C which is maintained at this temperature to prevent the growth of Legionella bacteria. Point of use TMVs for wash hand basins, bidets, baths and showers are specified throughout housing associations, healthcare, nursing, sheltered accommodation, education, sport and leisure, secure hospitals and prisons. Thermostatic taps and showers prevent the risk of scalding ensuring safe wash basin use and showering in domestic, commercial and healthcare sectors. Reliance TMV3 approved thermostatic taps and mixing showers for healthcare environments are compliant with TMV2 and TMV3 schemes. BREEAM is the worlds leading sustainability assessment method for masterplanning projects, infrastructure and buildings. BREEAM assessment processes judge the procurement, design, construction and operation of a sustainable development for compliance against performance benchmarks targets. WRAS product approvals contribute to the protection of public health by preventing contamination of public water supplies and encouraging the efficient use of water by promoting and facilitating compliance with the Water Supply (Water Fittings) Regulations. WRAS replaced Water Byelaws with responsibility for water waste, misuse, contamination, excess consumption and erroneous measurement of water supplied – all WRAS approved materials must not effect water taste, colour or promote the growth of potentially harmful organisms. 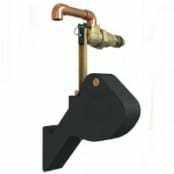 WRAS listing of a mixing valve demonstrate clearly and simply that the TMV complies with requirements of the Water Regulations when installed as specified by an installation Requirement Notes cited in the WRAS listing. TMV3 product approval is for the Healthcare and Commercial thermostatic sector using the NHS specification D 08 as a basis for the thermostatic mixing valves (TMV’s) performance testing.